This year, TCSS is proud to celebrate the 2018 graduation rate - 84.1%. In May, 710 students walked across the stage to accept their diplomas. Principals attribute increases in rates to a shift in school culture, collaboration across divisions and schools, and increased communication between the school community, parents, students, and business partners. When Errin Ford wrote his future life story, he knew his first move was to obtain his high school diploma. He said, “I have to graduate first so I can make something of myself." 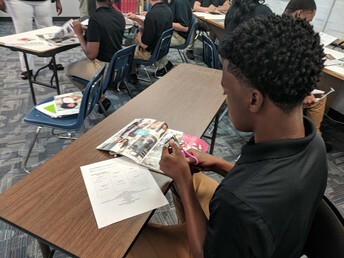 Tiffany Gibson-Pitts, The HOPE Academy’s Guidance Counselor, is the person who helped the students bring their vision to life through a guided hands-on Vision Board lesson. She said, “I wanted to challenge my students to think beyond what they see in front of them." 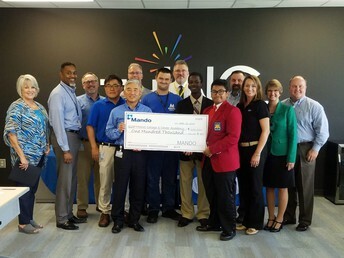 Last week, local automobile supplier, Mando, presented a financial investment gift of $100,000 to THINC College & Career Academy. The funds will be disbursed in $20,000 increments over the next five years. The hope is that students will graduate workforce ready and will choose to start their employment with local companies like Mando. The organization currently provide apprenticeships for six THINC/TCSS students. 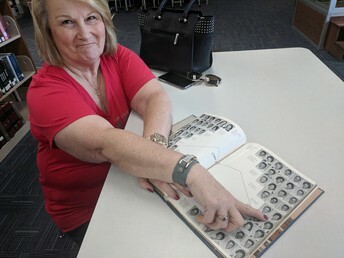 Linda Henry Coffield dropped in at Troup High to reminisce while flipping through her 1964 yearbook. She said of her high school sweetheart, "I remember he played the guitar and had a '57 Chevy. That was the car to have back then. We met when I visited my grandmother's house in West Point. He lived on the same street as she did, so I would always see him when I was visiting."